Transpersonal NLP™ assists you and your clients in spiritual emergence. NLP (Neuro-linguistic Programming) teaches you patterns of excellence and effective communication. By modeling these you can become more resourceful in any situation. Learn how to be in rapport with a wide variety of people. Let subtle body language cues give you the needed information that is otherwise hidden. Ask questions that evoke meaningful responses. Understand everyone better with the Enneagram of Personality, a Sufi system of self-diagnosis. Know what you want and notice what you are currently getting. Then have the flexibility to change what you are doing until you get what you want. Reorganize your experiences through altering your language and seeing beyond your old ways of perception. This course gives you useful process. These methods are applicable to business, valuable in your personal life and essential in working with clients. Up to 16 hours of step-by-step how-to instructions on DVDs. 3 excellent books on NLP and the Enneagram (a spiritual model of personality types) for study and reference. 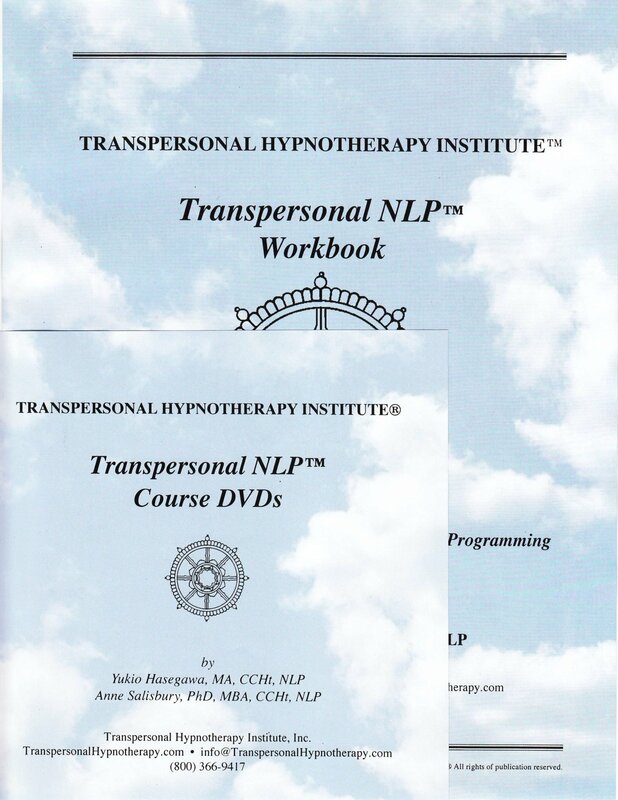 The “Transpersonal NLP™” certificate of completion suitable for framing. Introduction to Transpersonal NLP, NLP Presuppositions, Modalities for Handling Feelings, Release Work. Processes: Release Work, Pacing & Leading, Timeline Therapy. Spatial Anchoring Exercise, Forgiveness Pattern, Change Sub-modalities. Six-Step Reframing, The Enneagram of Personality. Working with Core Fixations and Core States Demonstration. Debrief of Practice Session: Core Fixations and Core States, Deepening the Core State: Retrieving, Growing Up and Integrating Parts, Parental Timeline Re-Imprinting.